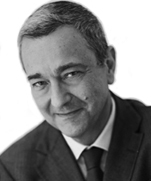 Marc Fornacciari is a Partner in the Dentons Paris office. He specializes public law and in particular public business law. He is responsible for the Transportation and Infrastructures, Public Policy and Regulation and Government groups for Dentons Europe. Having been a member of the Council of State for nine years, Marc acquired a recognized expertise of public law and jurisprudence. In particular, he reported findings as Government Commissioner on cases that, to date, remain major cases in contract and concession law. Marc also benefits from operational skills acquired in his previous professional experience. In particular, he was the operational manager of water and sanitation companies in Europe and the Middle East and was also in charge of business development in these areas. In this capacity, he has extensive experience in project structuring and financing. Marc’s diversified experience in the public and private sectors and as a lawyer gives him a broad and pragmatic understanding of the issues and aspirations of various stakeholders. Public contract law and project financing: advising public bodies (State, large local authorities, public institutions), investors (companies, investment funds) and credit institutions in connection with the award and execution of public contracts (PPPs, complex contractual arrangements, concessions, public contracts, public domain agreements). Regulated activities law: public economic law (foreign investments in France, privatizations and public sector law, state aids and public competition law) and sectoral regulation (transport, energy, telecoms, audiovisual, health, games, data management, etc.). Public real estate law: domain occupation, development of public property. Energy and environmental law: advice to investors in the renewable energy sector, nuclear sector. Relations between the public and private spheres: drafting laws or regulations, support during administrative procedures, risk analysis (ethics, deontology, representation of interests). Administrative litigation: public contracts, compensation claims, disciplinary litigation (CDBF), energy litigation (Energy Regulation Commission). An operator: Advising on the negotiation of the industrial and financing contracts of an offshore floating wind farm. Caisse des dépôts et consignations: Advising on a thermal renovation project of high schools in the Ile-de-France Region. The Ministry for an Ecological and Solidary Transition: Advising on the drafting of an impact study for the mobility orientation bill. The Ministry for an Ecological and Solidary Transition: Advising as part of a reflection on the evolution of the legal and economic framework of highway contracts. 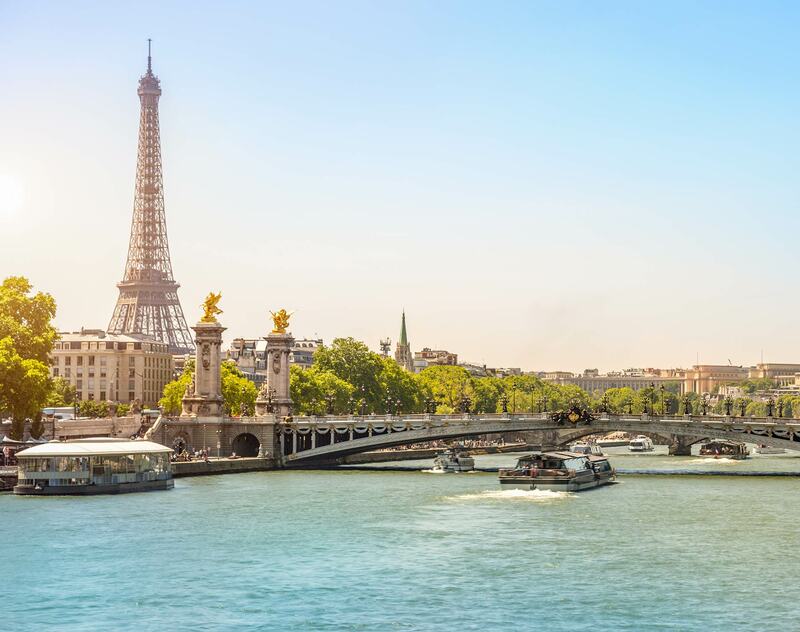 Syndicat des Transports d'Ile-de-France: Advising in connection with the award procedure of the contract(s) for the operation of the Grand Paris Express lines. The Ministry for an Ecological and Solidary Transition: Advising on the award of the concession contract of the Central-European Atlantic Route (RCEA). The RATP Développement / Kéolis consortium: Advising in connection with the contract award procedure for the operation of the "CDG Express" rail link. The Ministry of Defense: Advising in the context of the strategy to be put in place for the management of State housing. The Ministry for an Ecological and Solidary Transition: Advising in the context of the termination of the partnership contract relating to the implementation of the heavy goods vehicle eco-tax and in the context of various compensation claims subsequent to this termination. The Université Paris-Sud: Acting as counsel in the context of the partnership contract for the Biology-Pharmacy-Chemistry cluster on the Saclay plateau. The French Energy Regulatory Commission: Representing in the context of several disputes before the Paris Court of Appeal relating to decisions of the CRE's Dispute Resolution Committee concerning the connection to the electricity grid. A national public establishment in the field of State aid: Assisting with a litigation strategy. Schuepbach Energy LLC: Representing in several litigation proceedings of all kinds following the withdrawal of shale gas research permits (including through a priority constitutionality issue). The ECPS Condorcet: Advising in the context of the signing of the partnership contract relating to the Condorcet Campus. DREAL Rhône-Alpes: Advising in the framework of technical, legal and financial feasibility studies concerning the Lyon bypass routes and the incentive schemes for their use. Caisse des dépôts et consignations: Acting as counsel in the context of a study on legal arrangements for the enhancement of university assets. The winning VINCI Construction France / Mirova consortium: Acting as counsel in the context of the partnership contract award procedure for the construction of three colleges in Seine-Saint-Denis. Greater Lyon authority: Advising on the award and monitoring of three public service delegations for district heating. The lenders of the winning consortium: Advising in connection with the partnership contract for the replacement of 29 dams on the Aisne and Meuse rivers. The lenders of the consortium: Advising in the framework of the partnership contract relating to the new Courthouse in Paris. The lenders of the winning consortium: Advising in connection with the partnership contract for the new site of the Ministry of Defense in Balard. The independent directors of EDF: Advising in the context of the negotiation of the transaction with the State relating to EDF's compensation resulting from the closure of the Fessenheim power plant. The Société de Valorisation Foncière et Immobilière (wholly owned by the State): Advising on its role in the valuation of public real estate assets and its legal terms. A foreign investor: Advising in connection with the privatization of the Nice and Lyon airports. A national public institution: Advising on litigation strategy in the field of State aid. The Moroccan Ministry of Economy (then the European Investment Bank and the Islamic Development Bank): Advising on drafting the Moroccan law on PPPs, the Moroccan law implementing regulations, educational tools and standard documents for PPP procurement. The lenders of the winning consortium: Acting as counsel in the framework of the partnership contract relating to the renovation of the Prison de la Santé in Paris. The professional directory Chambers Europe - France edition 2018 comments: “Marc Fornacciari is ‘very client-oriented and a good listener’. He boasts strong expertise in PPP, concession contracts and regulatory law in the energy, transport and environment sectors. He also advises on privatisations, State aid issues and contentious matters”. Marc Fornacciari was named by Best Lawyers® 2016 as "Lawyer of the Year" for the Public Law specialty and in 2018 as "Lawyer of the Year" in the Administrative Law category. Marc Fornacciari is a Knight of the National Order of the Legion of Honor and of the Order of Merit.